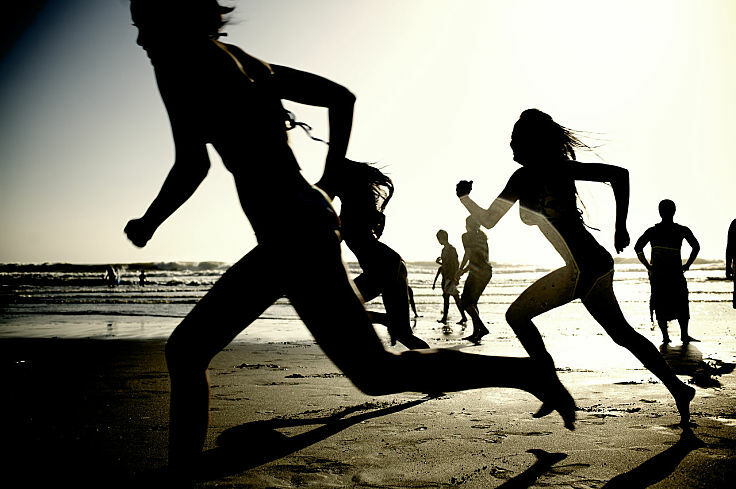 Barefoot running has been promoted as a more natural style of running. 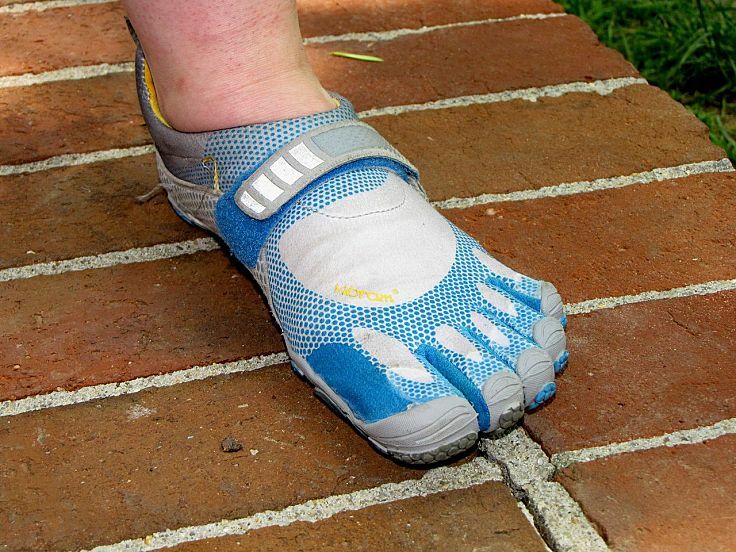 It encourages runners to strike the ground with their forefoot rather than their heels. Research studies have shown that athletes habitually heel strike had about twice the rate of repetitive stress injuries than athletes whole struck with their forefoot first. 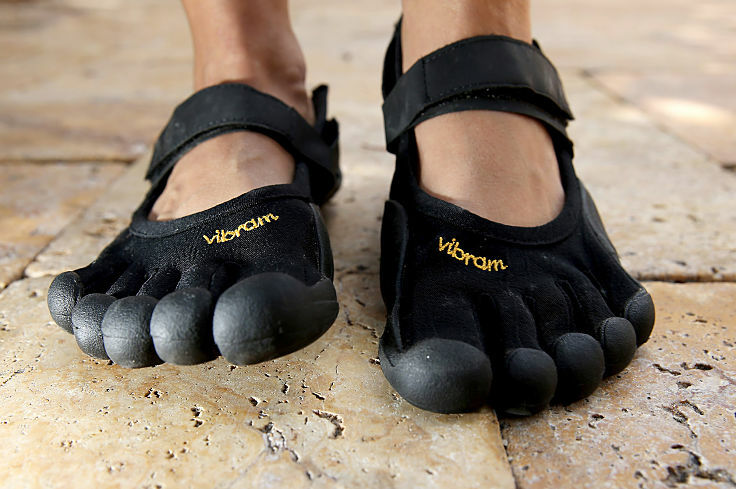 However the argument that barefoot running is more natural and therefore more efficient in a metabolic sense has been surprisingly proved wrong by a recent study conducted by researchers at the University of Colorado. 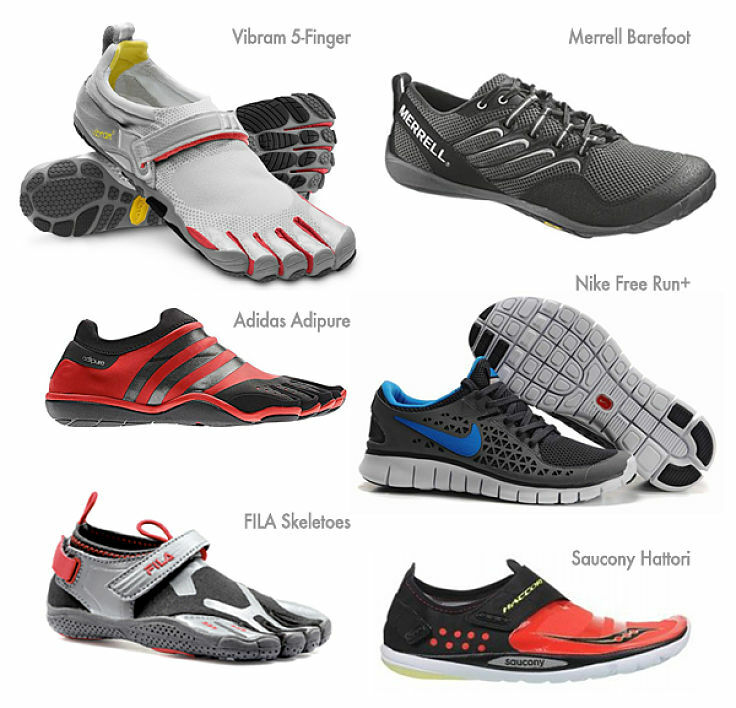 Wearing very light running shoes lowered the energetic cost of running by a small amount. This article reviews the evidence for and against this argument. 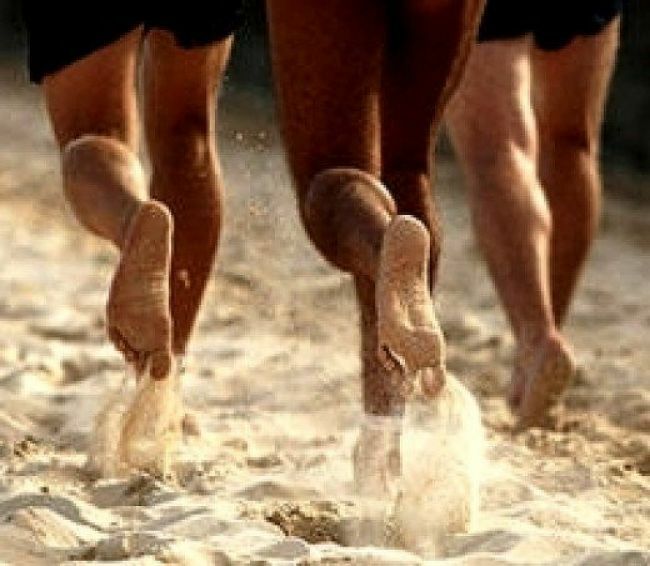 A recent study published in the journal Medicine & Science in Sports & Exercise was conducted using 12 well-trained male runners who had extensive experience with barefoot running. The exercise assessed whether wearing shoes (even very light ones)required more energy expenditure than going barefoot. In other words, does wearing shoes require more energy than going barefoot? Based on the weight of the shoes alone, one would expect that running barefoot would entail a lower metabolic cost in terms of energy expended than running in shoes. Many previous studies have demonstrated that heavier shoes increases the sub-maximal oxygen uptake by about 1% per 100 grams per shoe. However, only 2 of the 7 studies for this topic, found that the difference in oxygen consumption between running barefoot and with shoes was statistically different. These results immediately suggested that something else was preventing the difference being observed. This could be related to gait, foot-strike pattern, barefoot running experience, shoe construction, and perhaps the ability of the shoe to store energy. The goal of the research study was to quantify the metabolic impact of adding a simple mass to the feet, as well as running barefoot or with shoes.The study was designed to control for factors such ashow much barefoot running experience the subjects had, foot-strike pattern and footwear design and features. Twelve male runners were chosen who had substantial barefoot running experience. They were required to run at 3.35 m/s (7.5 mph) on a motorized treadmill, using a mid-foot strike pattern. 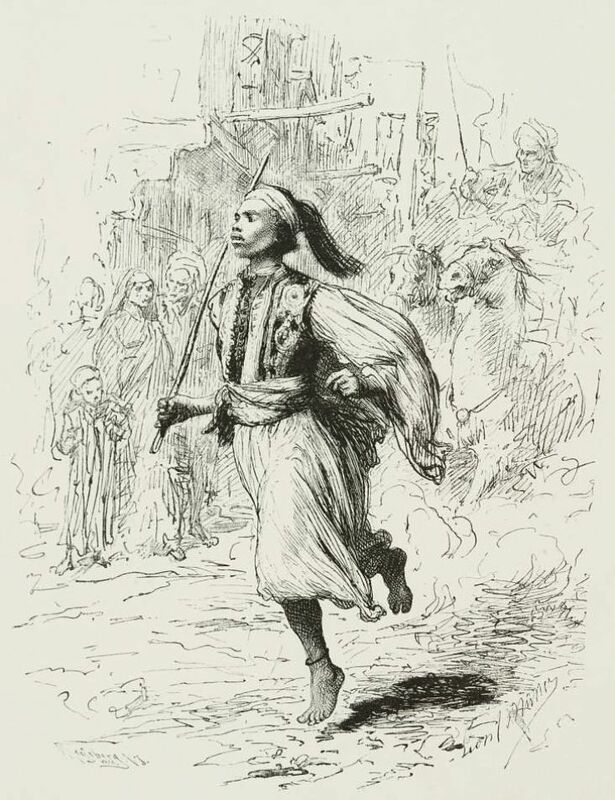 The runs were repeated when the subjects were barefoot and wearing very lightweight cushioned shoes. The shoes chosen only weighed 150g per shoe. Additional trials were conducted when small lead strips were attached to each foot and shoe - using weights of 150g, 300g and 450 g. For each run, the oxygen consumption and carbon dioxide production were measuredand used to calculate metabolic power. The conclusion from this is that, despite the expectations, running barefoot provides no metabolic benefits over running in lightweight, cushioned shoes. Maintaining your ideal stride length is also important. Another study examined whether running economy differs in minimal shoes versus standard running shoes that have cushioning, elevated heels and arch supports. It also examined whether forefoot or rearfoot strike gaits were more efficient. More arch strain was reported when running barefoot using forefoot rather than rearfoot striking. Plantarflexor force output was also found to be significantly higher in rearfoot rather than forefoot striking, and also in barefoot than running in shoes. Knee flexion and achilles tendon-triceps surae strain were both lower when running barefoot than in standard shoes. The conclusions from the study was that runners wearing minimal shoes are significantly more efficient than those wearing traditional running shoes, regardless of strike type, though the differences are quite small. These differences occurred after controlling for stride frequency and shoe mass. The likely reason for these differences is that more elastic energy is stored and released in the lower part of the body and legs when running in minimal shoes, compared with standard shoes. The overall conclusion is that the most energy efficient running occurs when wearing minimal shoes, rather than traditional shoes or barefoot.